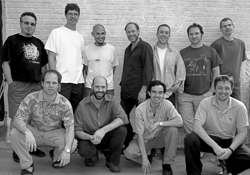 Los Guachos has been composer, pianist, and arranger Guillermo Klein's main vehicle of musical expression for over two decades. He started a big band in New York City after graduating from Berklee College of Music in Boston but soon scaled that down to 11 pieces. 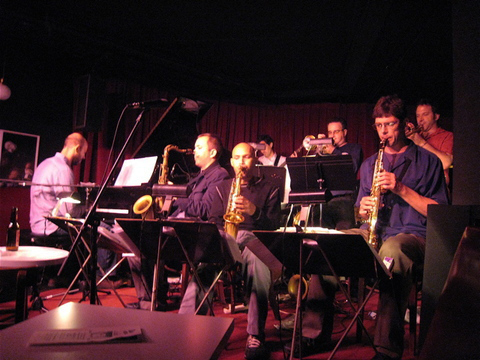 The personnel has stayed fairly constant over the past 15 years; the reed section consists of Bill McHenry (tenor saxophone), Chris Cheek (soprano, tenor, and baritone saxes), and Miguel Zenon (alto sax) while Diego Urcola (trumpet, trombone), Taylor Haskins (trumpet, flugelhorn), Sandro Tomasi (trombone), and Richard Nant (percussion, trumpet) make up the brass section. Ben Monder (guitar), Klein (piano), Fernando Huergo (electric bass), and Jeff Ballard (drums) are the rhythm section (with Nant). "V" is Klein's eighth recording for Sunnyside Records (6th as leader) and is comprised of two suites plus two more songs. The program opens with the three-part "Suite Indiana" which combines two original compositions and a fascinating rearrangement of Miles Davis's "Donna Lee." The latter tune, made famous by Charlie Parker, has its melody spread among the brass and reeds and broken into rhythmic fragments. That track is bookended by "Back Home Again" (with a melody line and arrangement reminiscent of Steve Reich) and "Patria Espiral" which expands upon the two previous melodies and rhythmic patterns. The centerpiece of the album is the 34+ minute, seven-part, "Suite Jazmin." The music displays the versatility of the ensemble right from the opening seconds of "Symmetry I" as the composer spreads the melody lines throughout the band, from the versatile bassist Huergo to the reeds while Ballard moves from a martial beat to a modified swing. "Si No Sabes 4/4" has a lilting melody plus a raucous solo from Monder and is immediately followed by "Si No Sabes 9/8" which takes the melody down a much different path inspired by the sensuous rhythms. "Burrito Hill Mirror" follows, its spiky rhythm created by the opening interactions of guitar and piano (mirroring each other) yet the handsome melody flows easily over the halting percussion (Nant and Ballard mirroring as well) whereas the following track, "Human Feel Mirror" is more upbeat, it's circular melodic fragments creating a percussive feel from the entire ensemble. "Jazmin" is a lovely ballad with a striking melody line (played by Zenon and Cheek on soprano and echoed by the muted trumpets), lovely harmonies, and a fine solo from Cheek. "Symmetry II (Si No Sabes Que No Sabes)" is a quiet reiteration of the beginning of the "Suite" as well as a charming close. The album closes with "Ashes" (an Andrew Hill piece composed for the album "The Invisible Hand" that he recorded with Greg Osby and Jim Hall) and "Quemando Velas" (Burning Candles). Both are ballads, the Hill composition retaining the spare quality of its original, a striking melody for flugelhorn with Klein's arrangement built right off the melody. The latter piece begins immediately after the previous song, the melody carried by the alto and tenor saxophones but notice the echoes behind the front lines as well as Monder's shimmering accompaniment. The melody shifts to the brass, quietly pushed forward by percussion. The delicacy of the music is matched by the emotional content, there's a feeling of peace and contentment as the song slowly concludes. "V" is a work that demands your attention and rewards the listener many times over. Like the previous recordings of Los Guachos, the seamless blend of melody with harmony, the way the Argentinean rhythms permeate so much of the music as well as the impressive ensemble arrangements, all those factors and more illustrate the artistry of Guillermo Klein. Highly recommended! For more information and to sample the album, go to sunnysidezone.com/album/los-guachos-v. Composer, arranger, pianist and educator Andy Jaffe has had a career that spans over four decades and, like many people involved in the jazz world, much of that time has been spent in academia. He has taught at many universities and colleges in the Northeast but mostly at Williams College for the past 29 years. Jaffe has co-led a large ensemble with trombonist and educator Bill Lowe (writer's note: Mr. Lowe's Jazz class was the first course I took at Wesleyan University on the road to my Master's Degree and, for a music reviewer, far from a "gut course") that, with the exception of two CDs, remains woefully under-recorded. His new CD, "Andy Jaffe Nonet + 4: Arc" (Playscape Recordings) looks backwards even as it moves forward. The impetus for the program came from a semester that he spent teaching and performing in Taiwan. Played by an impressive ensemble that includes the reed section of Kris Allen (alto saxophone), Jimmy Greene (tenor and soprano saxes), Bruce Williamson (bass clarinet, soprano sax), and Tom Olin (tenor, soprano, and baritone saxes) plus the unorthodox brass section of Wallace Roney (trumpet) and John Clark (French horn). Besides the leader on piano and all arrangements, the rhythm section consists of his son Marty Jaffe (bass) and Jonathan Barber (drums). The "4" alluded to in the album title is the Interesting Quartet from Taiwan composed of Wei-jun Hwang (first violin), Wei-hsin Liu (second violin), Chiee Yeh (viola) and Jiro Yeh (cello) who appear on four of the nine cuts. The program features five new pieces, three composed in the 1980s and a forceful yet gracious performance of the spiritual "Go Down Moses" arranged for saxophone quartet. On the spiritual, Williamson leads the way on soprano while the others reeds dance and weave below him (which may remind some of Julius Hemphill's arrangements for the World Saxophone Quartet). Greene and Allen take short but powerful solos; still, the ensemble arrangement truly shines. Of the "older pieces, two were composed for Max Roach's Double Quartet (which included the Unknown String Quartet). Jaffe considered the great drummer/educator as a mentor and these powerful pieces, "Steve Biko" and "Theme for the New 60s" pay tribute to how Mr. Roach knew that his music needed to reflect the political issues facing the world. The latter piece swings with a vengeance with strong solos from Roney, Allen, the leader and Barber. "...Biko" also has excellent solo work (especially the fiery exchange between Williamson's bass clarinet and Clark's French horn but it's the powerful melody that stands out and how Jaffe's arrangement uses the strings to echo the melody, supply harmony as well as serve as counterpoint. The album includes two lovely ballads, "In Case This Is Goodbye" and "Now Then", both new works. The title of the former gives the piece its emotional foundation, the melody, colored by the strings and the deep sounds of the bass clarinet, its heart, and the soloists its true expression. Allen's alto rises high above the rhythm section whereas the strings accompany the excellent soprano solo. Clark's solo is so understated but powerful while Marty Jaffe's bowed solo is pleasingly melodic. The strings return for the piano solo with an arrangement that leads back to the opening theme. The album's final track, "Now Then", is lovely with fine percussion from Barber, sweet underpinning from the bass clarinet and other reeds while the French horn plays the theme and has the first solo. Roney shines as a member of the ensemble plus his expressive set as a soloist. He fires on all cylinders on the highly-swinging "Brainworm" (Barber is the driving force here) and during a lengthy solo on "Fleurette Chinoise" (Greene's soprano solo on this track is wonderfully playful). Roney's muted solo and ensemble playing on the title track also stands out. "Arc" is a collection of pieces that contain so many delightful elements, from melodies that sing in one's ears to arrangements that fill out the sound without cluttering the aural landscape to solos, many of them short, that are creative and direct. Andy Jaffe Nonet + 4 is a long-awaited gem from this classy composer, arranger, and first-class pianist. For more information, go to andyjaffe.com. Bassist, composer, and CT native Mario Pavone continues to create music that challenges himself, his associates and the audiences in the most positive ways. For over five decades, he has created his own path, working alongside the late saxophonist Thomas Chapin, vibraphonist Bobby Naughton, and others, leading his own ensembles for the past 18 years. 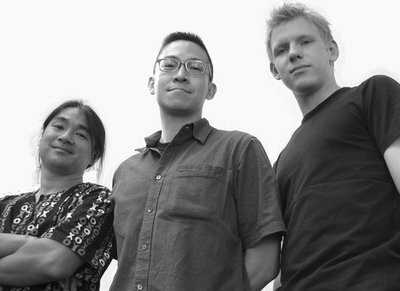 The Trio he brings to Firehouse 12 in New Haven this coming Friday (6/03) includes the impressive young pianist Matt Mitchell (Tim Berne Snakeoil, Dave Douglas) and the multi-faceted percussionist Tyshawn Sorey (Fieldwork, Paradoxical Frog). The ensemble released "Blue Dialect" in 2015 on the Portuguese Clean Feed label, an album filled with wonderful interactions, splendid solos, and impressive forward motion. Expect the same at this gig as the band is preparing to record its next album the following day. They will play two sets - 8:30 and 10 p.m. (separate admission charges) - for more information, go to firehouse12.com or call 203-785-0468. Early in 2016, alto saxophonist Greg Abate issued "Kindred Spirits" (Whaling City Sounds), a double album featuring his mentor Phil Woods and the Tim Ray Trio. Mr. Woods passed several months before the CD (recorded 8/11/2014) was issued but sounds in good form as he, Abate and the Trio (pianist Ray, bassist John Lockwood, and drummer Mark Walker) run through a sparkling group of standards (plus a bit of dialogue). This Friday, Mr. Abate, the Tim Ray Trio, and special guest Richie Cole (alto saxophone) come to The Side Door Jazz Club in Old Lyme CT to pay tribute to Phil Woods and the delightful album mentioned above. Cole, like the late Mr. Woods and Abate, has greatly been influenced by Charlie Parker but, like the other two gentlemen, moved on to create his own sound and style. Join these fine musicians as they spend an evening "Celebrating Phil Woods" - sounds like a delightful excursion for an early June evening. Doors open at 7:30 p.m. with the music starting at 8:30. For more information, call 860-434-0886. On Saturday night, The Side Door welcomes Mike LeDonne's Groover Trio. LeDonne, well known and respected for his piano work, has been playing Hammond B-3 organ a lot more over the last decade. Having first come on to the jazz scene in the 1970s working wit Benny Goodman and Sonny Rollins, LeDonne spent over a decade as music director with vibraphonist Milt Jackson and has worked with saxophonist Benny Golson for nearly two decades. For the Old Lyme appearance, he's joined by guitarist Mark Whitfield and drummer McClenty Hunter. Expect the music to be funky and to swing with abandon. The music commences at 8:30 p.m. For more information, go to thesidedoorjazz.com. 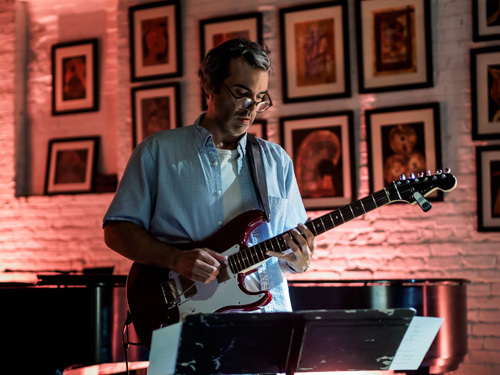 Also on Saturday (6/04), The Buttonwood Tree, 605 Main Street in Middletown, welcomes back guitarist and composer Sinan Bakir for an evening of his music for Trio. The Turkish-born Bakir came to the United States from his native land to study music at the Hartford Conservatory; he liked it so much that he stayed, forsaking his engineering degree for a life in music. He's released two CDs and is busy performing in New York City, Stamford CT, Northampton MA and elsewhere. Filling out the Trio will be bassist Silvain Castellano and drummer George Mastrogianis. The music starts at 8 p.m. For more information go to www.buttonwood.org or www.sinanbakir.com. 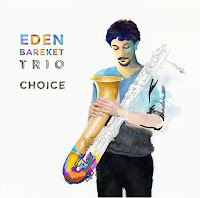 Baritone saxophonist Eden Bareket, born in Buenos Aires, Argentina and raised in Tel Aviv, Israel, moved to the United States/New York City in 2013 and has become a very busy musician. 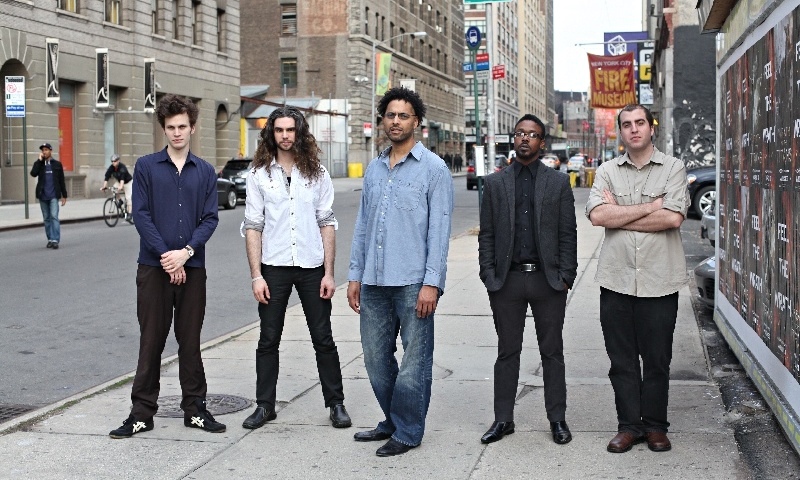 He's a member of drummer Ari Hoenig's Nonet, Eyal Viner's Big Band, and the Anbessa Orchestra a.k.a LIONS, a septet dedicated to playing Ethiopian music of the 1960s and 70s. For his U.S. debut album , "Choice" (Fresh Sound New Talent - his first Lp was recorded and issued in Israel - click here), he fronts a Trio that features his brother Or Bareket (bass) and Felix Lecaros (drums). The music the Trio creates is melodic, playful, soulful, filled with smart interactions, always involving, and, though all but one of the nine tracks are Eden's original compositions, sounds as if each member has a say in how the piece sounds. Take the title track. Introduced by the bass (a slowly descending line with harmonics), the melody is guided along by the excellent brush work of Lecaros (a native of Chile who also works with bassist Joe Fonda). Bareket plays in the sax's mid-to-higher range, creating a solo that has allusions to the work of Sonny Rollins and Gerry Mulligan. "Arguing With Myself" is a forceful and funky piece in which the saxophone and bass plays phrases that wrap around each other and sometimes overlap. During the sax solo, the bassist and drummer lock into a funky beat that really drives the piece forward. One of the prettier pieces, "The Last One", has a most delicate melody. The musicians allow the song to unfold slowly, never pushing but letting the music flow. The saxophonist plays throughout yet this always sounds like an ensemble piece. Bassist Bareket, who also works with Ari Hoenig as well with pianist Jean-Michel Pilc and the 3 Cohens, has a lovely sound (well recorded by Luis Bacqué who also mixed and mastered the recording in his Roselle, New Jersey, studios) - his work is stunning throughout. The one non-original is Peter Gabriel's "Don't Give Up", a beautiful melody that the Trio plays with great delicacy and fire (especially the saxophonist). There is also a subtle chorus of baritone saxes about 2/3rds of the way through the 7-minute song. Though the baritone saxophone is often thought of as a foundational instrument in a big band, musicians such as Harry Carney (from the Duke Ellington Band), Joe Temperley (long-time member of the Lincoln Center Jazz Orchestra who passed a few weeks ago), Gary Smulyan, the afore-mentioned Mr. Mulligan, Claire Daly, and a few others have proven that the big reed can be just as musical as a tenor, alto, or soprano sax. Eden Bareket is a very musical player, comfortable in the mid and upper ranges of his chosen instrument and not afraid to play softly. And, he can also belt it out when the music calls for it. "Choice" is a delightful musical adventure, the work of three musicians who are tuned in to the music and into each other. Give this one listen and you'll want to return time and again. For more information, go to www.edenbareket.com. With the exception of the afore-mentioned "Nasty" and the guitar solo on Baggetta's "The Only Blues", this music is often quiet, filled with pauses and silences, the three musicians interacting in the studio having a conversation that draws the listener in. A piece such as "Passage", a Baggetta original that stretches out for over 10 minutes, the looping guitar lines, the wonderful melodic work of Harris and Mintz's splendid brushes, keeps one involved all the way through. The first few times, you wonder where it's going; when you return again, listen closely to how this music moves, how each player is important to the direction and the sound, and how just how well the guitarist integrates the electronics. Don't confuse softer volume with lack of intensity when listening to this trio. Baggetta's other-worldly sounds, with phrases that may remind some of the "bent" country sounds of Bill Frisell or the expressive Jeff Beck, blend well with the musicality of Harris and colorings of Mintz. The three-part title suite sounds improvised, as does the majority of the album, but when you return to the music, a logic and sense of purpose appears. The album closes with the Ornette Coleman work, the guitarist alone with looping, creating a stark yet emotionally rich atmosphere that makes "War Orphans" all the more poignant. The dark blues of the album cover are a good signpost as to what to expect when one listens to "Spectre." There is a spaciousness to the music that one often feels as if he were standing on a mountain top surveying the universe. 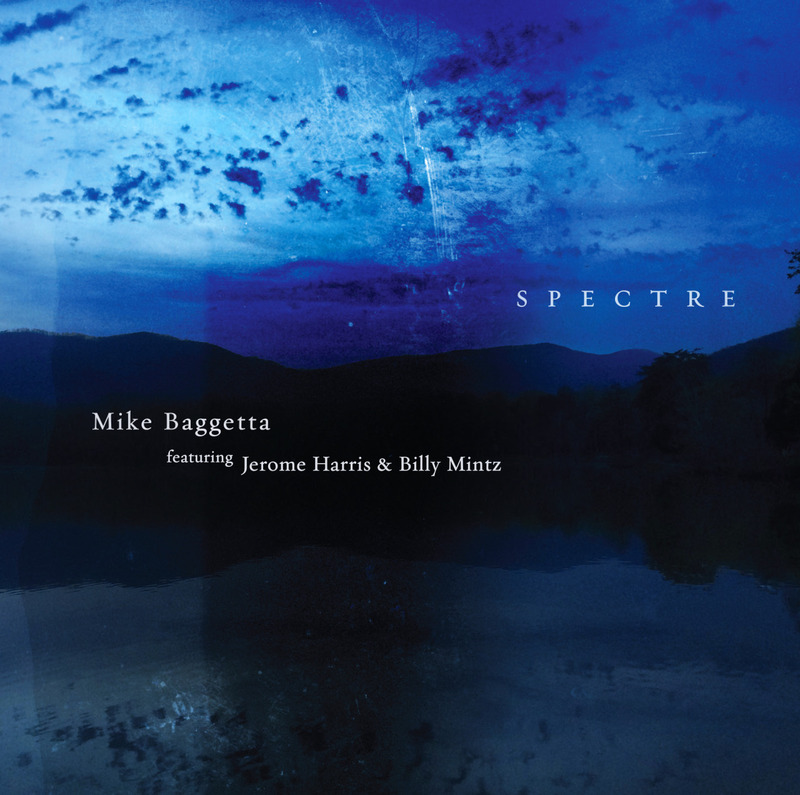 Mike Baggetta turned to fellow guitarist David Torn for the mastering; his sense of sonic landscapes influences the project as each participant's sound is given equal weight as one falls under the spell of this music. Dig in, dig deeply, and you will be moved, challenged, and ultimately satisfied. For more information, go to mikebaggetta.com. As a young person growing up in the Seattle, WA, area, trumpeter and composer Cuong Vu was greatly influenced by guitarist Pat Metheny. Vu spent several years in the early 2000s touring and recording with the guitarist's band. He has also worked with pianist Myra Melford, saxophonist Chris Speed, guitarist Joel Harrison and vocalist Laurie Anderson (among others). As a leader, Vu has recorded several albums for Knitting Factory and ArtistShare plus his Vu-Tet album on Origin Records. He's been working with the rhythm section of Stomu Takeishi (electric bass) and Ted Poor (drums) for over a decade (and three recordings), musicians who give as good as they get and more. 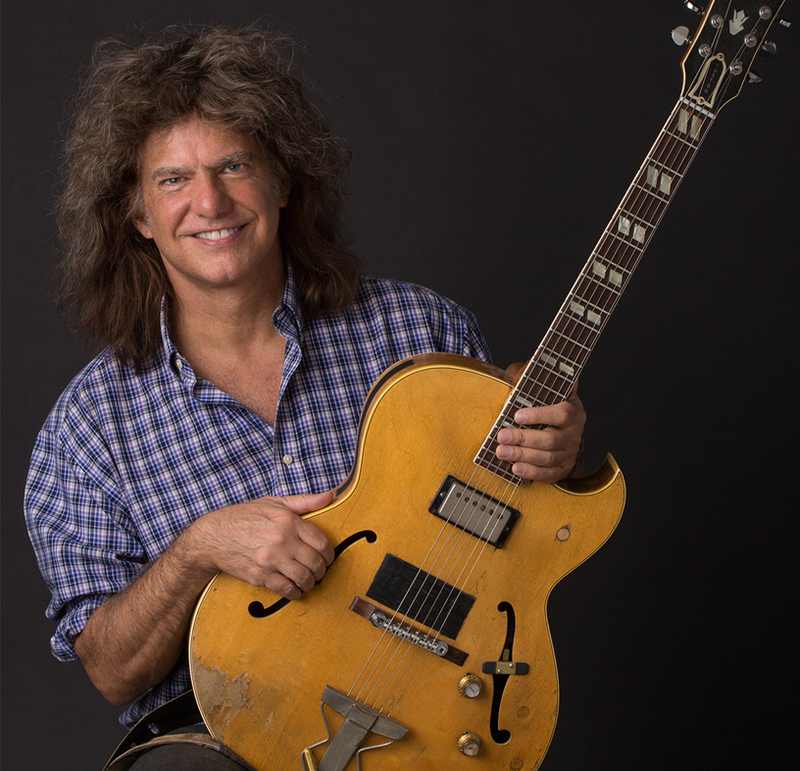 If you have followed Pat Metheny's music and career over the past 40+ years, you know how much he likes to experiment with sounds and textures. His brass-like sounds on songs such as "Let's Get Back" or his wailing solo on "Tiny Little Pieces", the latter over the rampaging rhythm section, prove he's not rating on his laurels. On the latter track, his feedback and loops play right into Vu's coarse, raspy, trumpet sound, as if they were inside each other's minds. Metheny gets bluesy and references John McLaughlin during "Telescope" (his composition), moving from supple melodic runs to roaring flurries of notes. Both he and Vu take it down a few notches for the handsome "Seeds of Doubt" the guitar flowing atop Poor's active drums and cymbals and Takeishi's spot-on counterpoint. 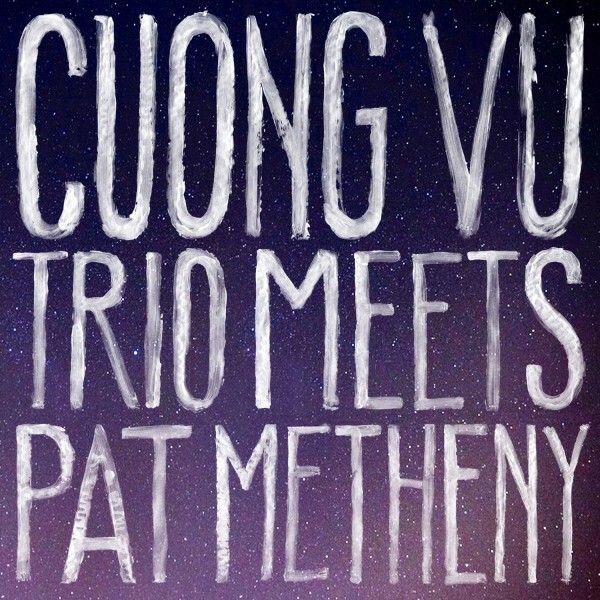 There are moments on "Cuong Vu Trio Meets Pat Metheny" when the listener is reminded of electric Miles Davis and how that trumpeter, especially in the live setting, really pushed his band to go further with the music. Then, there are cuts such as "Tune Blues" (composed by saxophonist Andrew D'Angelo), where the quartet swings hard but with a bluesy flair, electronics aside (save for Metheny). The music is a bit off-center, Poor pounding away with Takeishi keeps the rhythm moving forward. You should actually listen to this recording several times in a row start to finish, concentrating on different musicians each time. When you can stand back and let the sound fill the house, your room, or the car, even your headphones, this music has the power to take you far beyond the ordinary. For more information, go to www.cuongvu.com. Michael Dease, trombonist, composer, arranger, educator, and a native of Georgia, has had quite the busy life since being accepted into the first class of jazz students at The Juilliard School in New York City. He has toured, performed or recorded with the likes of Roy Hargrove, Christian McBride, Renee Rosnes, The Heath Brothers, and so many others. 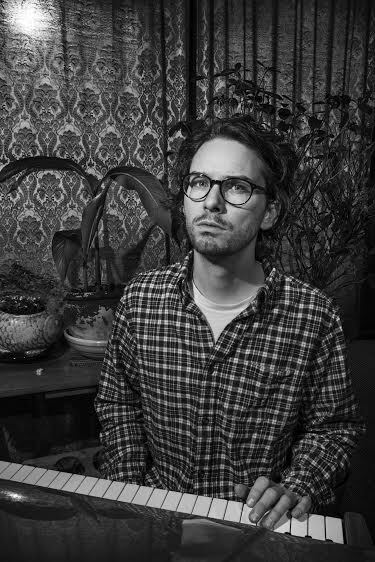 In the past nine months, he's released two new recordings for Posi-Tone Records, his second and third for the Los Angeles based label (his first was the delightful big band date titled "Relentless.") "Decisions" is a quintet date featuring the talents of Tim Green (alto saxophone on five tracks), Glenn Zaleski (piano), Rodney Whitaker (bass) and Ulysses Owens (drums), all leaders in their own right. The program is a delightful mix of seven originals and three "standards." Several of the pieces have political overtones in their titles including the handsome ballads "Trayvon" and Bernard Ighner's "Everything Must Change." The majority of the album swings with glee, from the shuffling opener "Grove's Grooves" to the funky "Jason's Gonna Get Ya" to the bluesy "Gorgeous Gwen" ( the blend of trombone and sax on the melody has a tinge of The Jazz Crusaders). Throughout, Owens and Whitaker keep the front line on there toes without forcing the issues while Zaleski impresses with both his support and his excellent solos. Dease has a such a attractive tone, even buttery at times, and his solos are so smart. He navigates through the rhythm section such lyrical composure on the Harry Warren/Joe Young classic "You're My Everything" and dances with delight through "The Big D." Green adds much on his appearances, the highlights being the expansive solo on "Right Place Wrong Time" and his high-flying turn through "Grove's Grooves." "Decisions" is music that asks questions while reminding listeners of the joys of coming together for creative endeavors. Give the album several listens and the music will insinuate itself in your mind and soul - can't ask for more than that. The brand new Dease disk, "Father Figure", not only casts the trombonist in the role of leader but also mentor. He, Glenn Zaleski (a young pro) and Behn Gillece (vibraphone) are the veterans in an ensemble that also features bassist Endea Owens, drummer Luther Allison plus alto saxophonists Markus Howell and Immanuel Wilkins. Ms. Owens and Mr. Allison make for an impressive rhythm section throughout, her active lines not just supporting but also offering counterpoint while his cymbal work is exemplary as are his choices of when to "push." Howell appears on 6 of the 11 tracks; he has a bright sound and many of his phrases joyfully dance above the rhythm section. Wilkins, still in his teens, seems to have a more supportive role on his 4 appearances but does get off a raucous solo on the opener "Church of the Good Hustler." Mr. Gillece appears on most of the tracks and his vibes sound mesh nicely with the different lineups on the disk. His rippling sound is a highlight on Dease's "Brooklyn", named for both the borough in which his family lives and also for his baby daughter. There are numerous highlights throughout, among them the playful "Marian The Librarian" (from Meredith Wilson's "The Music Man"). Dease and Zaleski caress the melody as the rhythm section dances delightfully in support. That quartet return to the Broadway and Hollywood hit for a sweet turn through "Till There Was You", the melody lovingly played on trombone and followed by a jaunty solo. Michael Howell's "The Pursuit for Inspiration" is a medium-tempo ballad with Dease and Howell playing the melody - the young alto saxophonist plays a fine, assured, solo while Ms. Owens' counterpoint stands out. "Annette's For Sure", from the pen of trumpeter Claudio Roditi, is a sweet romp with strong solos from the leader, Zaleski, and Howell. The quintet (with Gillece and Howell but minus Zaleski) visit the blues on "Riff Raff", a sweetly-played tune from trombonist Grachan Moncur III with excellent solos all around. Gillece takes his over the rhythm section only and it really shines. The title track closes the album on a bop-ish note with the leader creating a snappy melody and a sparkling solo (including a sneaky quote from "Parisian Thoroughfare" at the onset.) Ms. Owens take a short but excellent break before Zaleski shows off his Bud Powell-like chops. 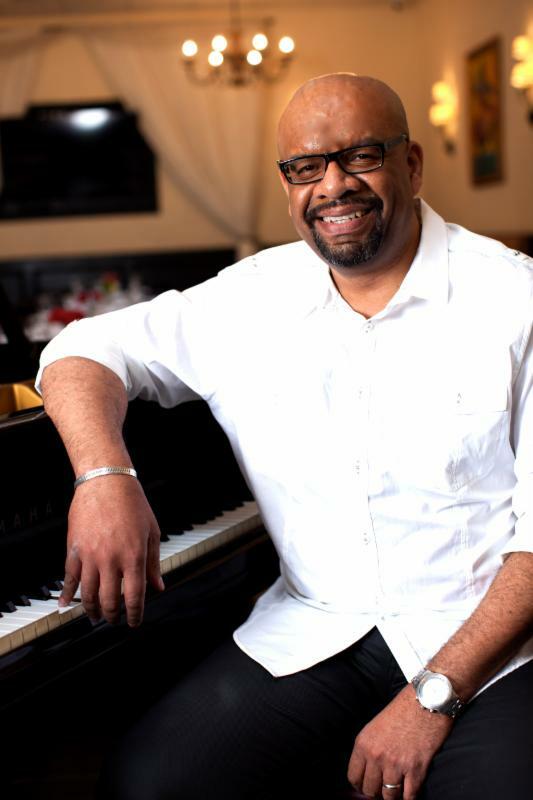 With "Father Figure", Michael Dease shines the spotlight on a fine group of musicians, several of whom he has worked with during his tenure on the faculty of Michigan State University. He's generous with solo time for the members of the ensemble but don't lose of the sight of the fact that he himself is a fine soloist, often with a most handsome tone. This music is a delightful way to spend the day. For more information, go to www.michaeldease.com. Pianist and composer Spike Wilner, a native of Manhattan, may be best known for his "night job", manager of both Smalls Jazz Club and its next-door neighbor, Mezzrow. 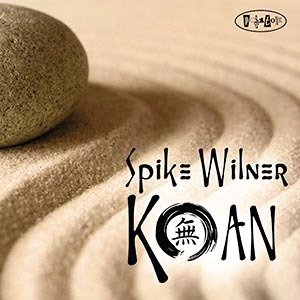 He's also quite an accomplished pianist and band leader; "Koan" is his 10th album as a leader and 3rd for the Posi-Tone label. The CD, like his previous release, "La Tendresse", is a trio date, this time with Tyler Mitchell (bass) and Anthony Pinciotti (drums). The 12-song program features excellent originals, jazz classics (including two compositions by Duke Ellington) and a pair of standards. One can hear from the get-go that this is an ensemble who have spent a good deal of time working together and listening to each other. When they "swing", as they do with a vengeance on Tadd Dameron's "Hot House" or gently on Wilner's "Iceberg Slim", the three musicians do so in service of the melody and with the joy of improvisation. The Ellington works, 1940's "Warm Valley" (revived on Duke's trio date with Max Roach and Charles Mingus) and 1938's "Gypsy Without a Song", have such expansive melodies, the former with its gentle melody that stretches over several verses and the latter with a Latin tinge and gentle swing. One of the more experimental works is the leader's "Monkey Mind", which starts gently but Wilner begins adding sheets of notes over chattering percussion and intermittent bass lines. The final three tracks bring the session to a close on quite a high note. "Young at Heart" (the melody composed by Johnny Richards) opens quietly with Wilner playing the melody slowly (his left hand sounds, early on, like Vince Guaraldi's left hand "Cast Your Fate to the Wind"). After the rhythm section enters, the energy slowly picks up but the pianist's solo is a series of variations on that melody. Next is the trio's impressive exploration of Ornette Coleman's "Lonely Woman" (certainly the late saxophonist and composer's most oft-recorded work.) Wilner's left hand, along with Mitchell's bass lines, not only really swing but there are moments, especially after the bass solo, when the music has a folk music feel. The inventive nature of the trio's interactions push the piece forward right up to the drum solo and, after that, it's back to the theme. The album closes with "Blues For the Common Man", a Wilner original that takes its theme from Aaron Copeland's famous "Fanfare...." After a formal opening with Copeland's melody, the piece drops into a slow blues a la Percy Mayfield. The pace picks up several notches during the piano solo that juxtaposes familiar phrases with long, flowing, single-note runs. Right before the close, the trio slows down, Wilner takes more of a gospel tack (big, bold, chords) and the music and come to a satisfying close. "Koan", as a musical meditation, works well in the early morning and late at night, windows open, the sounds of the outside either waking up and quietly disappearing. Spike Wilner has such a creative mind, teasing idea out if songs one might think have been wrung dry over the years. This is a great program to enjoy from start-to-finish and I heartily recommend that you do. For more information, go to www.spikewilner.com. Since his recording debut in 2006 with reed master Dave Liebman ("Vienna Dialogues"), pianist and composer Bobby Avey has built quite an impressive resumé. He won the Thelonious Monk Composition in 2011, just months after releasing his first CD as a leader. Also in 2011, he won a grant from Chamber Music America to travel to Haiti to research and record a Vodou Ceremony. The upshot of that journey was the brilliant collection of pieces that make up the 2014 Whirlwind Recording "Authority Melts From Me." He's also recorded a set of solo pieces recorded after "Authority.." but released before it on a CD titled "Be Not So Long to Speak." Avey now tours with Liebman's Expansions band and subs for Matt Mitchell in Rudresh Mahanthappa's Bird Calls. 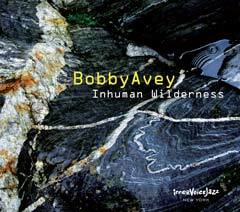 "Inhuman Wilderness" is his new album. Issued on pianist Marc Copland's InnerVoiceJazz label, the 8 tracks, composed by Avey, is his creative reaction to how man treats his fellow man as well as how man ignores environmental warnings. Whereas he does not use the album jacket or his website to voice his feelings, it comes out in the powerful music on the CD. Featuring his long-time rhythm section of Thomson Kneeland (bass) and Jordan Perlson (drums) plus John O'Gallagher (alto saxophone on four tracks), there is such an urgency in this material that it can not be ignored. Perlson's chattering drums leads off the first cut "Countless Voices of Unknown People" - the music takes a while to build but then the "alarming" sounds of the piano using about the hip hop beat take over, circular phrases repeated over and over, that the listener is on edge. O'Gallagher join the fray for "Fall Not a Tear", his insistent alto sax rising high above the powerful rhythms created by the trio. Their shifting rhythms also have a nervous quality that dissipate in the middle of the piece as the music gets introspective before Avey joins in an interaction with Kneeland and then Perlson. The roiling left hand and rampaging drums that open "Land Theft"give way to the bowed bass, splashy high hat and ominous low note and then to the powerful attack of Perlson; it's all done in 102 seconds but not before stunning the listener. The solo piano track, "Rent The Sky", is a dissonant ballad that starts quietly, much like a storm building on a muggy summer afternoon. Soon, the tolling chords begin to pierce the speakers, the rumbling bass notes creating a thunder-like foundation. The storm rolls through quickly, the music slows and fades to silence which, dramatically, lasts for nearly 20 seconds. It is hard not to highlight each track on "Inhuman Wilderness" as each one carries such strength. Even the title cut, an extremely quiet excursion for quartet, has power as if one was walking late at night after a tornado has laid waste to his neighborhood. Does the pianist/composer have hope for the world? The music of the final track, "Composure Must Be Rare", is soft nearly all the way through before rising to a powerful peak, only to drop down to cymbal sounding over a piano note. The ominous chords have disappeared, the saxophone is less strident and we land, gently, far from the discontent of the opening track. Dramatic music for a dramatic time, challenging the listener to take action - how impressive. Bobby Avey has been an impressive musician since his first recordings and he is quickly maturing into a major force on the contemporary music stage. For more information, go to www.bobbyavey.com. The CD will be released on June 24 2016. Pianist Luis Perdomo, a native of Venezuela, has built quite a career since moving to the United States in 1993. He's toured regularly as a member of Miguel Zenon's Quartet and Ravi Coltane's ensemble, recorded with guitarist David Gilmore, saxophonist Jon Irabagon, percussionist Ray Barretto, and a slew of others. He's recorded seven CDs as the leader of various-sized ensembles. 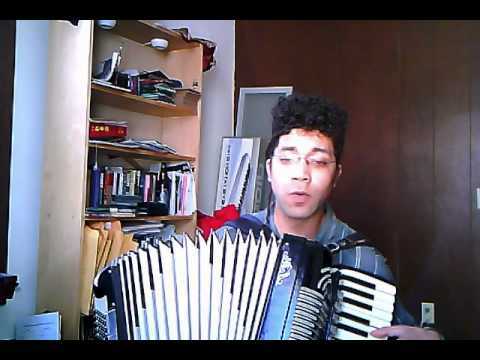 His 8th album, "Montage" (Hot Tone Music), is his first solo recording, a vivid representation of his technique, his compositional and interpretive skills plus his understanding of the history of modern music. The 14 tracks on the disk are spot evenly between originals - five of which are part of a series of "Montages" - and seven interpretations. The latter group includes "Monk's Dream" in all of its blues-drenched glory but with a hint of Leonard Bernstein in the chords and Art Tatum in the left hand. It's always fun to hear Stanley Cowell's "Cal Massey", a tune with such a fine melody and room for expansive solos such as the one Perdomo creates in three minutes (love the boogie-woogie behind the theme!) The romantic ballad "Si Te Contara", from the pen of Cuban composer Félix Reina Altuna (1921-1998) blends a Latin tinge with a handsome melody that displays the influence of Irving Berlin's "Lets Face The Music and Dance." The playful take on "La Revuelta de Don Fulgencio" (composed by Austrian-born Venezuelan-based composer Gerry Weil) is a tour-de-force, filled with powerful left hand runs and dancing phrases from the right. Perdomo refashions "Mambo Mongo", a piece composed for percussionist Mongo Santamaria by William Allen, concentrating on the melody and replacing the "mambo" beat with a flowing bass line. What emerges is a lovely and emotional song. As stated, five of the originals bear the name "Montages" and have the subtitles of "Fleeing", "Sleepwalker", "Angst", "Air", and "The Ascent." These are among the most "poetic" tracks in that the titles refer to the action in the music. "Fleeing" has a rapid-fire running rhythm line while "Sleepwalker" is more deliberate, as if the pianist was carefully walking through a dark room in search of a melody. They are fairly short (two over 3 minutes, the rest under 2:08) but hardly slight. 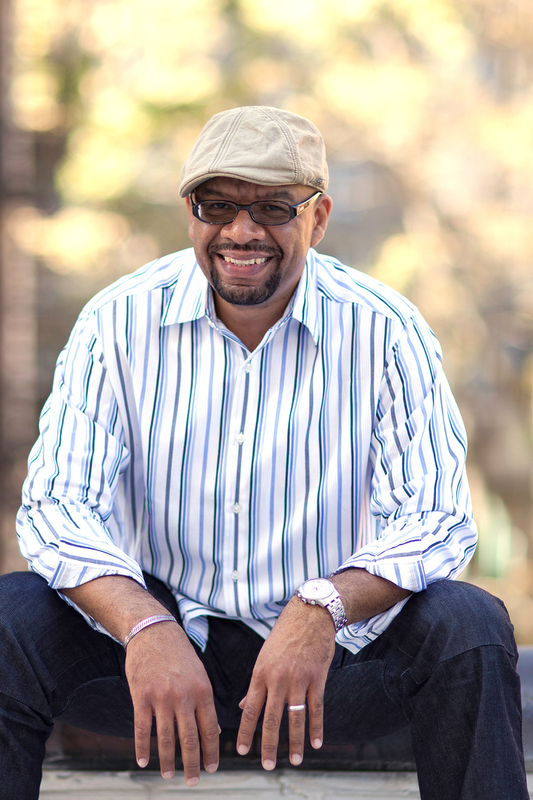 The other two Perdomo-penned pieces include the lovely medium-tempo ballad "Amani" which shows the influence of Fred Hersch in the melody and how the pianist develops the solo, expanding outward from the "foundation." The other original, "The Boundary Law" is also the longest (6:52) and also builds up from a strong foundation of a flowing circular bass line. Then, the music slows down while Perdomo explores the possibilities in the melody. IT'd easy for the listener to get lost in the performance, the passion and emotion, the rolling melodic phrases, and ringing high notes. "Montage" is a album filled with special moments, passages of piano that take your breath away. 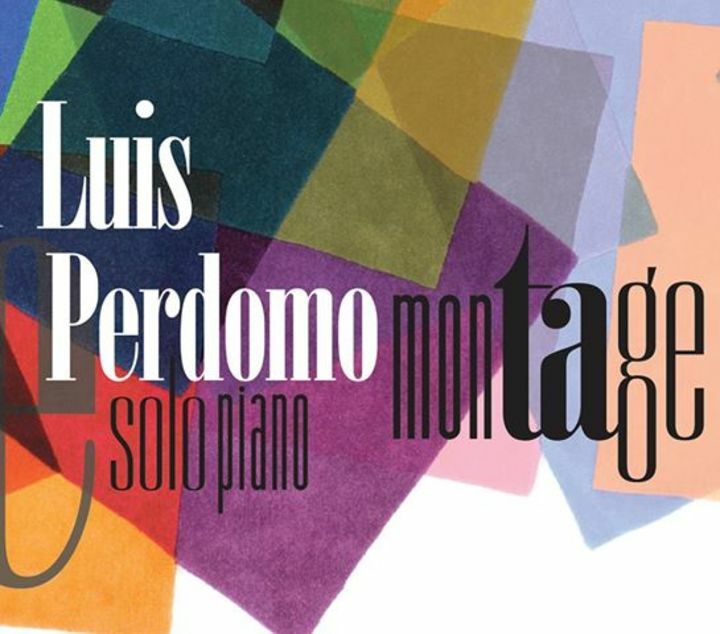 Unlike the solo piano explorations of Keith Jarrett, which usually unfold over long periods of time allowing the listener to fall into a meditative state, the music created by Luis Perdomo is often succinct, with melodies that grab your attention from the first note. This music - released on the label owned by his wife, bassist and composer Mimi Jones - is most certainly a treat. For more information, go to www.luisperdomojazz.com. The Katie Bull Group Project, a splendid quintet led by the composer, dancer, and vocalist whose lyrics bend towards poetry and whose voice is a powerful instrument, returns to Connecticut this Friday to perform at Firehouse 12 in New Haven. Her ensemble - Landon Knoblock (piano, synths), Jeff Lederer (tenor and soprano saxophones), Joe Fonda (bass), and George Schuller (drums & hat) - does a splendid job illustrating Ms. Bull's lyrics with sounds funky and free. This group lit multiple fires under an audience at The Buttonwood Tree in Middletown when it played there in March of this year. The KBGP plays 2 sets - 8:30 and 10 p.m. - for more information, go to firehouse12.org or call 203-785-0468. To learn about Ms. Bull and all of her endeavors, go to www.katiebull.com. Mr. Fonda (pictured left) will also be part of The French-American Connection appearing Saturday evening at The Buttonwood. Representing the United States will be the bassist plus drummer Harvey Sorgen and representing France will be Christophe Rocher (clarinet, bass clarinet) - expect an evening of inspired improvisations, rhythmical adventures, with unexpected twists-and-turns as is the wont of musicians playing on the spur-of-the-moment. The trio will take the stage - floor, in this instance - at 8 p.m. For more information, go to buttonwood.org or call 860-347-4957. The Side Door Jazz Club welcomes saxophonist and flutist Don Braden on Friday May 20. Mr. Braden, currently the director of the Litchfield Jazz Camp and Interim Director of the Harvard University Monday Night Jazz Band, has toured and/or recorded with the likes of the late Betty Carter, Wynton Marsalis, and Roy Haynes. He leads several different ensembles including the Organix Quartet that will grace the Old Lyme performance venue. Joining Mr. Braden will be Jared Gold (organ), Dave Stryker (guitar), Steve Johns (drums), an impressive ensemble that will play original works, standards and jazz classics with swing and panache. To find out more, go to www.donbraden.com. Doors open at 7:30 p.m. and the musicians take the stage at 8:30. For more information, call 860-434-0886. Pianist and composer Kevin Harris brings his Project quartet to The Side Door on Saturday night. Harris, a graduate of Morehead State University and the New England Conservatory of Music (where he studied with Fred Hersch, Cecil McBee and, Danilo Perez among others), teaches at the Berklee School plus has a busy time leading his own band as well as playing with groups led by saxophonist Jerry Bergonzi and drummer Steve Langone. For the Old Lyme gig, he brings an exciting band including Jason Palmer (trumpet), Peter Slavov (bass) and the redoubtable Ralph Peterson, Jr. (drums). The music starts at 8:30 p.m. To learn more about the pianist, go to www.kevinharrisproject.com. For reservations and more information, go to thesidedoorjazz.com. Also on Saturday night, The Artists Collective, 1200 Albany Avenue in Hartford, welcomes pianist Larry Willis and his Quintet. Willis continues to be one of the busiest musicians on the planet. A native of Harlem, he has worked with so many greats of Black American Music including Dizzy Gillespie, Nat Adderley, and saxophonist Jackie McLean with whom he made his recording debut - McLean is also the founder of the Artists Collective. Willis spent 7 years touring and recording with Blood, Sweat & Tears a well as recording with trumpeter Hugh Masakela (he and the trumpeter attended the Manhattan School of Music at the same time in the early 1960s. For the show in Hartford, which begins at 8 p.m., Willis has assembled quite a group including Gary Bartz (alto and soprano saxophone), Steve Davis (trombone), Blake Meister (bass), and Billy Willams (drums). For tickets and more information, call the Collective at 860-527-3205 or pick them up at Integrity 'n' Music, 506 Silas Deane Highway in Wethersfield. Daniele Cavallanti (tenor saxophone, ney flute) and Tiziano Tononi (drums) have been a musical couple for nearly four decades, an integral of the Italian creative music scene. Besides their own projects (especially their group Nexus), both are founding members of the Italian Instabile Orchestra. They have recorded projects dedicated to Don Cherry, Rahsaan Roland Kirk, Ornette Coleman, and John Coltrane. 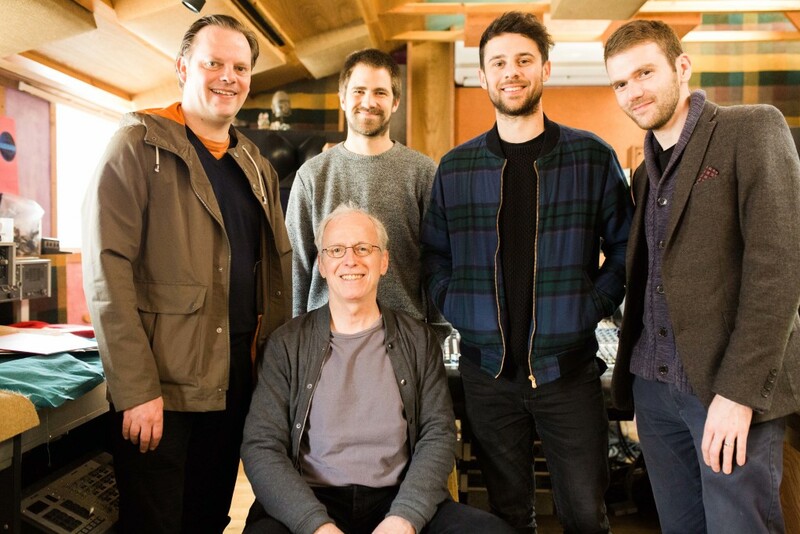 They have collaborated with a slew of internationally known musicians including trumpeter Enrico Rava, bassist Mark Dresser, saxophonist Dewey Redman, drummer Andrew Cyrille, and many others. Yet, with all these great recordings, the duo has never recorded in the United States. Until now, that is. 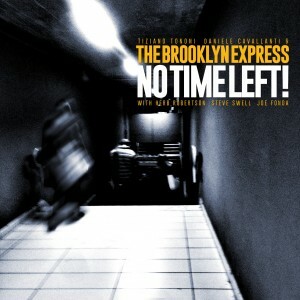 On June 15 and 16, just a few days after Ornette Coleman passed, Cavallanti and Tononi entered Douglass St. Studios in Brooklyn, NY, with Herb Robertson (cornet), Steve Swell (trombone, flute), and Joe Fonda (bass) - a quintet dubbed The Brooklyn Express - to record the seven tracks that make up "No Time Left!" (Long Song Records). With the exception of the opening cut "Brooklyn: Monday Soundcheck", the songs are dedicated to musicians that the leaders have to looked to for inspiration. Tononi's "New York Funeral Blues...(for Ornette C.)" is self-explanatory, the music a slow dirge/drag with moaning cornet, wailing saxophone and keening trombone, closing with Cavallanti's powerful solo coda. Other musicians celebrated are Gil Evans ("Untitled # 1"), a pace that changes tempos and intensity several times, and South African ex-patriate bassist/composer Harry Miller. Cavallanti's "Song For Harry Miller" builds up from the powerful interactions of the drummer and Fonda into a fiery piece with solos from the bassist, composer (on tenor), trombonist and, finally, Tononi. The longest piece (20:29) is "Slap, Tones & Drones (for Bill Dixon)" certainly lives up to its name with a noisy, rubato, opening, that lasts nearly half the piece before giving way to a short tenor/drums interchange and then a powerful drum solo. The bass and drums slide into a rambunctious beat that fires up the saxophonist one more time. The final track dedicated to a musician who has passed is the funky "I See You Now, Jim! (for Jim Pepper)". - listen to the grooves Fonda lays down and that Tononi picks up on and accentuates, I doubt you'll be able to sit still. There is 1 track, "Cyrille, The Inspirer", that is dedicated to a living master (and one of Tononi's teachers). Credited to the quintet and producer Fabrizio Perissinotto, the music goes in several directions in its 12:14 After a noisy beginning, the music take a number of surprising turns including a section where Cavallanti, Swell, and Fonda have a conversation on flutes. Also surprising is the fact that though the piece is dedicated to a drummer, there is not a drum solo. "No Time Left" has many moments that lift the listener off his chair, with powerful solos and exciting interactions created by five people who embody the meaning of creative musicians. Take The Brooklyn Express to the end of the line and get back aboard - this is quite the ride. For more information, go to www.longsongrecords.com/en/discography/no-time-left/. Moppa Elliott, bassist, composer, label owner, educator, proud Pennsylvania native, and chief-cook-and-bottlewasher for Mostly Other People Do the Killing, has now created his first solo album. "Still, Up In The Air" (Hot Club Records) is truly a solo recording. Elliott recorded the seven tracks in St. Stephen's Episcopal Pro-Cathedral in Wilkes-Barre, PA. The different "Sequences" - no titles, just numbers - display Elliott's impressive technique, as he plucks, picks, plays arco (bowed), and col legno (striking the bass with his bow), creates overtones and harmonics. This music is an acquired taste. There are melodies but many of them have a circular feel. Elliott often creates a fragmented melody line and then continually builds upon and returns to it, often emphasizing the percussive sounds created by pizzicato and col legno, moving quickly back-and-forth from long tones to short sounds sort quick phrases. In actuality, if you have the patience, this is music to be experienced in one sitting as it is tough to differentiate between the "Sequences." There is so much happening in this program yet, for this listener, the tracks all seem to run together. It's not boring but the sounds bore into one's head, blurring reality like a dream, with the power of a poem that takes the reader out of the ordinary. "Still, Up In The Air" is mood music in the sense that you need to be in the right frame of mind to take this journey into the creative process of bassist Moppa Elliott. In the words of John Lennon, "Turn off your mind, relax, and float down stream." Where will Elliott's music take you? 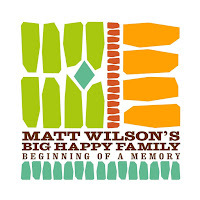 Matt Wilson's Big Happy Family is a big band unlike any you have probably ever heard. 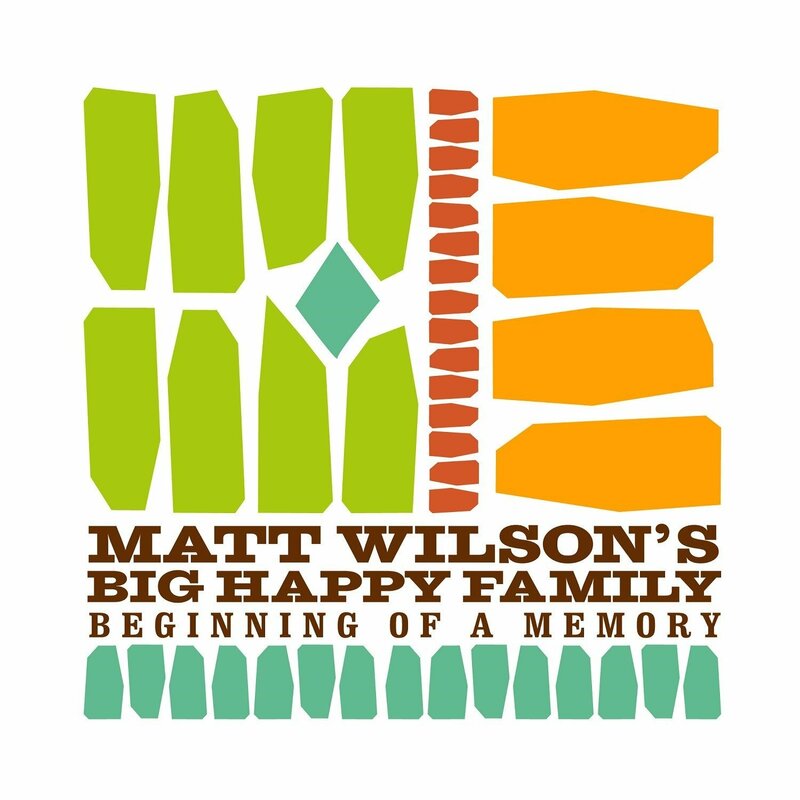 For his new recording, "Beginning of a Memory" (Palmetto Records), the drummer, arranger, and composer brings together members from the different ensembles he leads - Arts & Crafts, the Matt Wilson Quartet, and Christmas Tree-O - and they play a program dedicated to Wilson's wife Felicia, who passed away in June of 2014. The recording features 17 tracks, 13 musicians (many tracks feature as many as 10 playing and one features 11), Wilson's own Liberation Army; unlike the late Charlie Haden's ensemble though, this music does not rail against fascism and corrupt politics but celebrates the beauty and love that Felicia brought to the drummer, his four children, their community, and the world. The material ranges from the marching band intro, "Score", to sweet ballads such as a "Getting Friendly" to the heavy-metal madness of "Schoolboy Thug" (if you've ever seen the Quartet in person, this is usually the "kick-out-the-jams" closer). Along the way, there's the bluesy "Lester" (a tribute to Lester Bowie first recorded by Arts & Crafts in 2001) featuring the "war-wah" trumpet and cornet of Terell Stafford and Kirk Knuffke. Alto saxophonist Andrew D'Angelo, a member of Wilson's first Quartet, contributes the burning "Andrew's Ditty", that features short but powerful solos from both brass players and saxophonists Jeff Lederer, Joel Frahm, and the composer plus a rim-rattling spot for the leader. The bluesy "25 Years of Rootabagas" (is this a Frank Zappa reference?) is a ever-so-slow treat for trumpet, cornet, clarinet, and the accordion of Gary Versace. The lovely title track has a poignant melody and soulful playing from Knuffke, D'Angelo, and, once again on accordion, Versace. Listen for the lovely background work of Stafford and bassists Martin Wind and Paul Sikivie. "Flowers for Felicia (Orchids - Wildwood Flower)" is a beautiful ballad for clarinet (Lederer), trumpet, tenor saxophone, piano, two basses, acoustic guitar and dobro (producer, engineer, and former label owner Matt Balitsaris) and plus stunning brushes work from Wilson. It's an exquisite tune as is "July Hymn", the musical prayer played by the brass and reeds that closes the album. 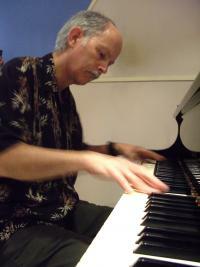 Pianist Larry Goldings makes his only appearance on the pretty solo piece, "How Ya Goin'? ", played on what sounds like an old upright piano. Besides "Schoolboy Thug", there are playful pieces such as "Go Team Go! - Endless Love" that pairs a rollicking football marching band arranged by Sun Ra with Yosuke Inoue's lovely solo bass reading of Lionel Richie's "Endless Love" (as the late Kurt Vonnegut used to say "Go figure.") The oddly-titled "Request Potato" matches a mechanical beat a la Devo with a raucous melody inspired by Albert Ayler and goes out on an ever-accelerating swing beat pushed forward by the drums and three bassists, 2 acoustic and Chris Lightcap on electric bass. "Feel the Sway" is a feature for the bassists (minus Inoue), all of whom get to solo over the steady beat of the leader. Like many of us, Matt Wilson seeks and finds solace in family, friends, and community in times of sadness. Yet, with "Beginning of a Memory", he also helps others to see the brighter side of life through the creation of music, some of which soothes, some of which makes us laugh. This Big Happy Family brings comfort and joy not only to the audience but to those people who gathered to create the music. For more information, go to www.mattwilsonjazz.com. Firehouse 12 in New Haven welcomes native son Ben Allison on Friday May 13 for the latest installment of its Spring 2016 Concert Series. The bassist and composer will be bringing a new Trio, one that features Jimmy Greene (tenor and soprano saxophones) and Rudy Royston (drums). All of them have appeared numerous times in the Elm City performance space / recording studio (for Greene, it is his 8th gig in 11 years). Allison, recently elected the President of the NY Chapter of the Recording Academy, has matured into one of the finer composers on the contemporary scene. He is also one of the better "fundamental" and more melodic bassists; like Mario Pavone, he builds his compositions from the rhythm section outward. Allison has released 12 CDs as a leader or co-leader plus three with The Herbie Nichols Project, a group he co-founded with pianist Frank Kimbrough. 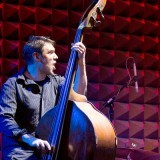 The Ben Allison Trio will play 2 sets - 8:30 and 10 p.m. - tickets for both sets are available by going to firehouse12.com. To find out more about Mr. Allison, go to benallison.com. 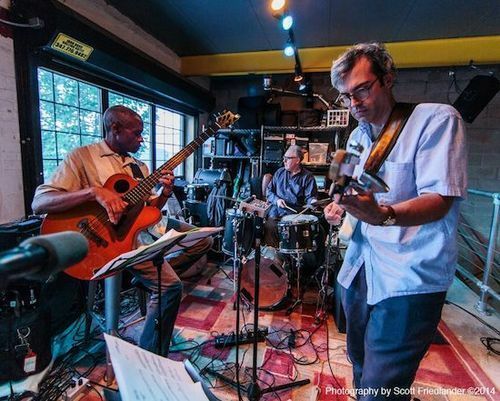 The Side Door Jazz Club presents yet another stellar weekend of first-class music. On Friday, The Door opens to Rene McLean Pentagram Music of the Spirit - Celebrating Jackie McLean. Rene (saxophones, flutes), the son of the late saxophonist, activist, and educator, Jackie McLean, has had a very busy career and is on the faculty of the Jackie McLean Institute at the University of Hartford. He's bringing quite the ensemble, including Alan J. Palmer (piano), Lesedi Ntsane (trumpet), Ronnie Burrage (drums), Hartford-native Dezron Douglas (bass), and Neil Clark (African percussion). Doors open at 7:30 p.m. and the music starts at 8:30. Call 860-434-0886 for more information and reservations. 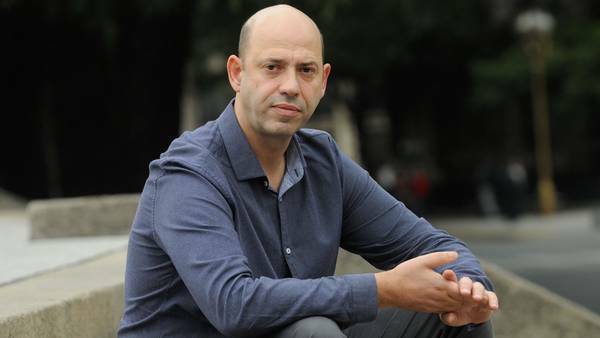 On Saturday, it's pianist Andy Milne & Dapp Theory. Milne creates that brings together elements of jazz, hip hop, and funk in a most exciting fashion. His ensemble - Aaron Kruziki (saxophones, clarinets), Chris Tordini (bass), Kenn Grohowski (drums), and John Moon (percussive poet) - has been together for a while and has grown into an impressive live band. Whirlwind Recording released the band's latest album, ""Forward In All Directions", in 2014. Produced by the ex-Yellowjackets bassist Jimmy Haslip, the music may remind some of Weather Report with its bow to Middle Eastern, African, and South Amercan sounds. The band takes the stage at 8:30 p.m. For reservations and more information, go to thesidedoorjazz.com. On Saturday, the Uncertainty Music Series continues with a home-grown double bill. Accordionist Adam Matlock (pictured left) plays a solo concert with material that comes from his latest album, "Lungfiddle" released on the Off Record label. The music is experimental yet approachable, often taking time to unwrap the melody, sometimes blending sound and silence. To find out more and hear samples of the music, go to anhistoricmusic.bandcamp.com/album/lungfiddle. Also on the bill is the duo of Anne Rhodes (voice) and Chris Cretella (guitar). The music starts at 8 p.m. in the comfortable performance space of Never Ending Books, 810 State Street in New Haven. For more information, go to www.facebook.com/uncertaintymusic/. Joe Morris (guitar, bass) and Stephen Haynes (cornets) have curated a successful season of "Improvisations:: Arcade" at Real Art Ways, 56 Arbor Street in Hartford. They always have a "grand finale" in May and do so again this Sunday at 3 p.m. Dubbed "Spectacle 2016", the concert will feature various combinations of the 10 musicians invited. Besides Messrs. Morris and Haynes, the lineup includes Kaoru Watanabe (flutes), Andria Nicodemou (vibraphone), Andrew Drury (drums, percussion), Mat Manieri (viola), Kyoko Kitamura (voice), Carl Testa (bass), Ben Stapp (tuba), and Ben Hall (tympani, drums, percussion). What to expect? With this impressive ensemble, the music can and will go in many directions so, expect to be surprised, challenged, and delighted. For more information, go to www.realartways.org/event/improvisationsarcade/2016-05-15/ or www.facebook.com/improvisations.arcade/?fref=ts. Drummer/composer Jeff Williams (Dave Liebman, Stan Getz, Joe Lovano) has expanded upon the format of his first two CDs for Whirlwind Recordings, both quartet dates, by adding chordal instrument. Guitarist Phil Robson and pianist Kit Downes (also Fender Rhodes), joins Williams, Josh Arcoleo (tenor saxophone), and Sam Lasserson (acoustic and electric bass) Still, "Outlier" has the same exploratory manner as the other ones, 2011's "Another Time" and 2013's "The Listener." The interaction of Robson's airy guitar sounds and the piano block chords with the forward motion of rhythm section gives the title track an infectious energy. "The Interloper" bursts out of the gate with Williams kicking his way around the bluesy theme. Arcoleo and Downes takes their cues from the drummer, playing forceful solos (especially the pianist) before the piece calms down for a bass solo. Williams' excellent brush work meshes with Lasserson's melodic bass at the opening of "Meeting A Stranger", a ballad that includes a fine tenor spot. Pay attention to the work of Downes and Robson underneath the solo, both "comping" yet never getting in each other's way. The pianist's unaccompanied introduction to "New and Old" leads one to believe that the track is also a ballad; once the rhythm section comes in, the pace picks up for the melody and even more for the solos (save for the bass spotlight). The melody of "Hermeto" is shared by the saxophonist and guitarist while Williams really fires up the rhythms. They return to the theme several times before Robson and Arcoleo take expansive solos. The chordal structure and overall feel of the track is similar to that of Steely Dan's "Aja", leading to a fiery climax. Jeff Williams does not take may solos on "Outlier", although his opening salvo on the final track, "Oddity", leads the way into a high-powered romp. He is one of those drummers who leads from his chair; he never overpowers his ensemble but gives every piece a sense of flow that makes the music sing, swing, and, at times, dance. His brush work is exemplary as is his cymbal work. This ensemble is blessed by having Phil Robson and Kit Downes, both leaders in their own right. "Outlier" is delightful music that washes over the listener and brightens the mood.